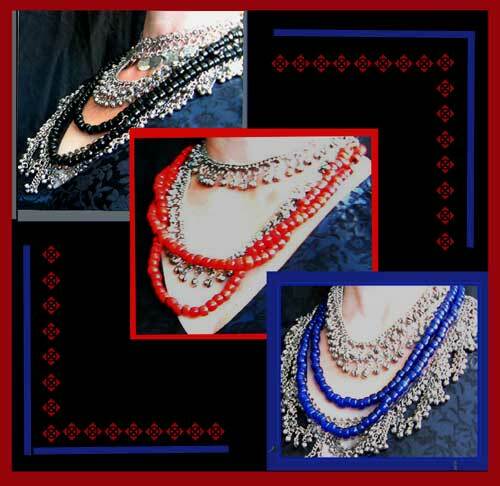 Sometimes a bit of color at the neckline is all you need to tie a costume (or outfit) together. 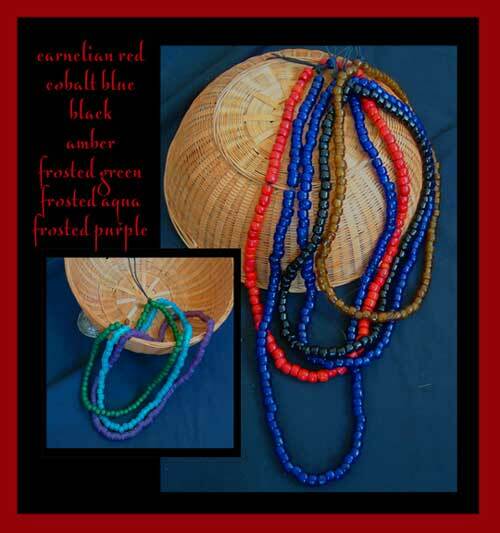 These imported glass bead strands are just the thing- they are the same as appear in my tassel belts and in the Raj coin items. The colors are vibrant, and the beads are made using centuries old methods leaveing natural imperfections and irregularities in the glass as it cools. Hand strung my yours truly on black waxed cord. Shown here with a selection of my coin belts, worn as necklaces. A great value; Two strands for one low price! Can be worn together or separately. One is aprox 26" and the other slightly longer,aprox 29"